Please meet my afternoon snack of choice as of late. 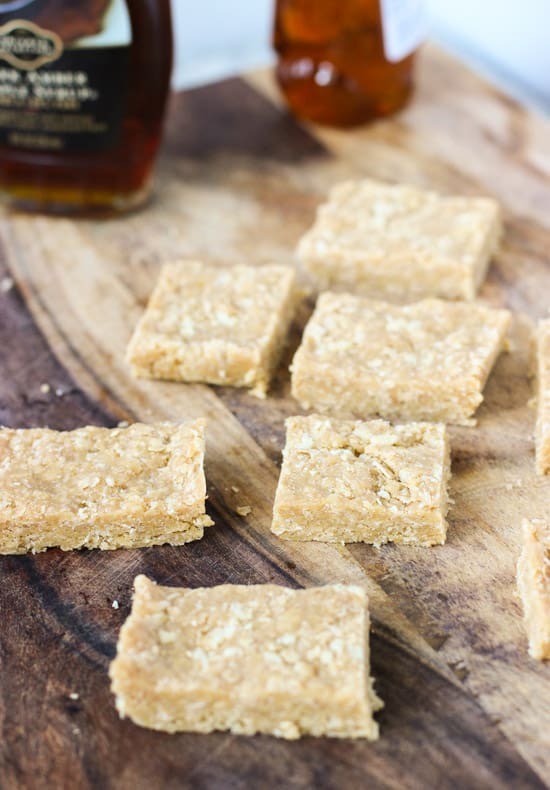 No-bake honey maple cashew bars. Six ingredients + ten minutes = chewy and crisp, no-bake, and de-liiii-ciously flavored energy bars. Can we talk about Starbucks for a second? And can I share a semi-embarrassing story? I work in an office building that has a Starbucks on the first floor. Temptation central. Every two weeks or so I’ll treat myself to an afternoon latte, except for this week, because it was one of those that called for two. Anyway, on this particular day the line is huge and it’s really loud as I’m giving my order. I order my tall skinny vanilla latte and wait around for about ten minutes. Finally I hear them announce a tall skinny vanilla latte for “Melissa”, which to be honest is usually the name the barista hears when I say “Alyssa”. I pick it up and start to leave, when I get the feeling that someone’s following me. There is, turns out it was Melissa wanting to know why I’m holding her tall skinny vanilla latte. Whooooops! All eyes on me, the great big coffee thief. I handed the goods over, only to pick up another tall skinny vanilla latte for – wouldn’t you know it – “Melissa” a few seconds later. Sheesh. I bolted back upstairs to my desk to drown my embarrassment in said latte and two of these fab honey maple cashew bars. Comfort snacks. As long as you have a food processor, these bars are a cinch to make! You throw some cashews, honey, maple syrup, and a smidge of vanilla extract in there and let ‘er rip! At first the cashews will be chopped into little pieces, then they’ll start to combine with the wet ingredients, and within a minute or two you’ll have a slightly sticky and wet cohesive mass of cashew deliciousness. All that’s left is to press in the puffed rice cereal and oats so they’re well integrated, press mixture into a pan, and slice! Now that it gets dark at 4:40 pm, my stomach starts growling for dinner when I’m still at work. Not good. These bars are a perfectly tasty and nutritious snack to stave off the stomach growls. They’re dense, chewy, and a little bit crisp (from the puffed rice), so you really feel like you’re eating a substantial snack. I love that so much more than mindless carb grazing. If I threw my willpower out the window, I bet I could polish off a whole bag of Chex Mix and still be hungry an hour later. Not going to happen with these bars! In a food processor, add cashews, honey, maple syrup, and vanilla extract. Process for a few minutes, until mixture becomes a cohesive, slightly sticky mass. The cashews will have very few (if any) tiny pieces remaining and the mixture might be a little warm from the processing (see note below). Place cashew mixture into a bowl and add rice cereal and oats. Using your hands or a wooden spoon, if you prefer, work in the cereal and oats until combined evenly throughout the cashew mixture. Press mixture into the bottom of a small pan, such as a 9" x 5" loaf pan. Depending on the consistency, you may prefer to refrigerate bars for 15-20 minutes before slicing to ensure they have solidified. Bars will hold up at room temperature, however if storing for several days, I'd keep them in the refrigerator in the meantime. *Note: Step #2 may be easier if the cashew mixture is warm. If mixture isn't as workable as you'd like right out of the food processor, place cashew mixture in a small saucepan over low-medium heat until heated a bit. Then remove from heat and proceed with the cereal and oats. Haha it all ends well if everyone gets their caffeine. 🙂 Thanks Tina! 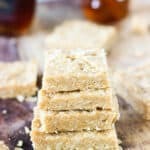 Love how easy to make your cashew maple bars are, they sound incredible too. Haha! That’s a great idea, Anna. Or should I say Bob! Back when I was a teenager, my dad would try and embarrass me in Starbucks by giving the most random names to the baristas. “Rusty” was a favorite haha! Oh that is too funny! Once I was at Starbucks and they yelled like five times for Abe to come get their drink. Finally the woman was staring right at me saying “Abe!! Abe! !” I was like um…. How do you get Abe from Annie?! haha! These bars look really great! I love cashews so I am going to make these soon! Your starbucks story is so funny! I would have probably done the same thing. I had that happened when I order food. They’ll announce “1 banana bread” and I’ll grab it, only to have some loud lady tell me, “I think that’s my banana bread.” Whoops! I wonder if they other Melissa’s name was Alyssa too, and starbucks got both wrong. That would be funny! These cashew maple bars sound delicious! And so easy to make! Oh that’s so funny — totally an honest mistake! My name gets butchered when they write it down almost every time…normally I’m “Mary”. Haha. At least you had these to cheer you up afterward — they look like the greatest snacks! Oh, Alyssa (or should I say Melissa? ), this post had me laughing out loud! Really, it’s the baristas who should have been embarrassed, though, not you! I could eat the whole batch of these things. I love cashews. They are one of the few things I can eat until I get sick. Thanks Michael! I agree – cashews might just be my favorite nut. Love them in sweet and savory recipes both! It sounds like that girl really needed her coffee! Too bad you didn’t have one of these yummy bars on hand to calm her down, lol. Haha I know, right? Although I was also in serious need of my afternoon caffeine fix so I really can’t blame her. I better start carrying a few of these bars on me at all times! These look amazing Alyssa! 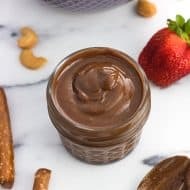 I love desserts like this, so I can see why these are your new BFF! Pinned! 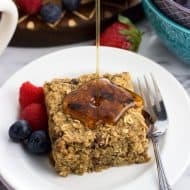 No-bake recipes are the beeest! Thanks for the pin, Kristi! These look delicious!!! And I absolutely love that they’re no-bake. My kind of recipe! These look so good! 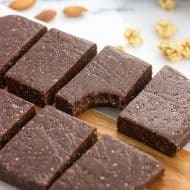 I LOVE a good no-bake recipe! Thanks Ashley! They’re so clutch! 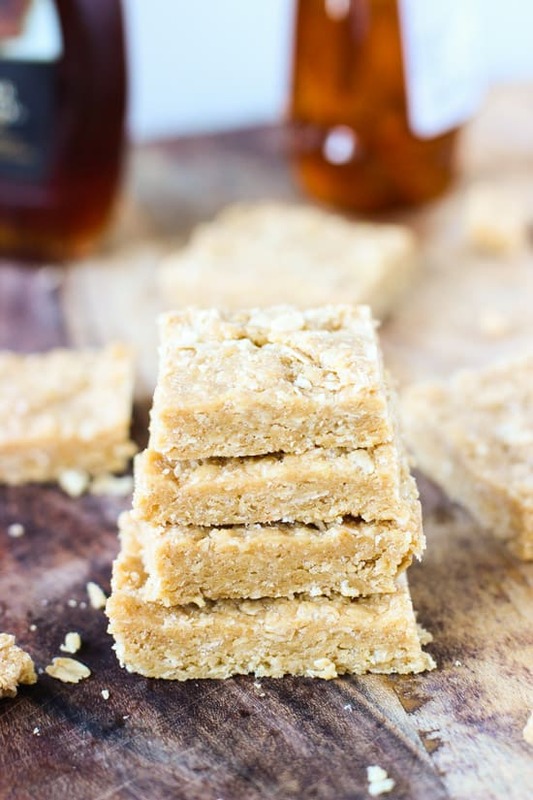 I can definitely see myself devouring many of these delicious honey maple cashew bars. 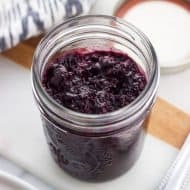 Great recipe – I have to make it! Well, shucks! I always get nervous when I’m waiting for my drink and the line’s long. Ashley is a super-common name for late 20-somethings/early 30-somethings…so it’s happened where more than one Ashley walks up to get the drink. I kind of wish Starbucks employees would pronounce drink names more clearly! These little power bars look like the perfect hunger solution. And I bet they’re packed with flavor! Any time I can dump most of the ingredients into a food processor and just go, I’m alllllll about it! Have a great weekend! Oh my gosh, that’s so funny, Alyssa! And go figure that your drink was the next one with the name “Melissa” too! Hopefully these cashew bars made you feel a little better. They look amazing! I love that they’re no-bake and are flavored with honey and maple, too. Such a great treat! Haha Gayle, I was glad the crowd saw me take my legit drink – it was an honest mistake! These bars definitely made me feel better. No-bake is the way to go!